Looking forward to next weekend! On February 5th you can hear the multichannel Audio-installation “Be.Seven” during the festival Schönes Wochenende at the Tonhalle Düsseldorf. The installation was realised under my guidance by pupils of the Marie-Curie Gymnasium in Düsseldorf. The pupils worked for the installation also on visual and object components, for which the Filmwerkstatt Düsseldorf took care of. 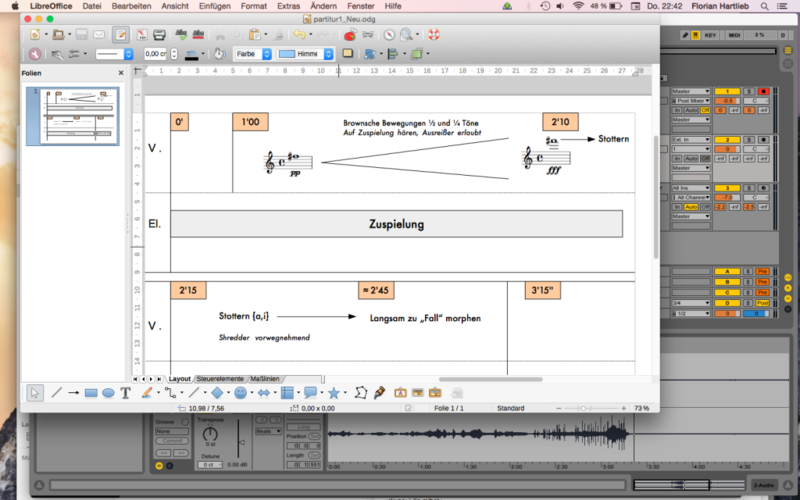 Currently working on a revision of my piece Ist Niemals Jetzt, which is going to be performed in march by Julia Mihaly at the Lasalle College of Arts in Singapure . 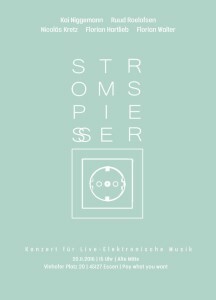 Looking forward to play a duo with Florian Walter (Cl) at Stromspiesser, a Concert Series for Live Electronic Music. I’m happy to announce, that I was elected as a member of the DEGEM Board. The election took place during the meeting of the members of the DEGEM on September, 3rd at the HAW Hamburg. 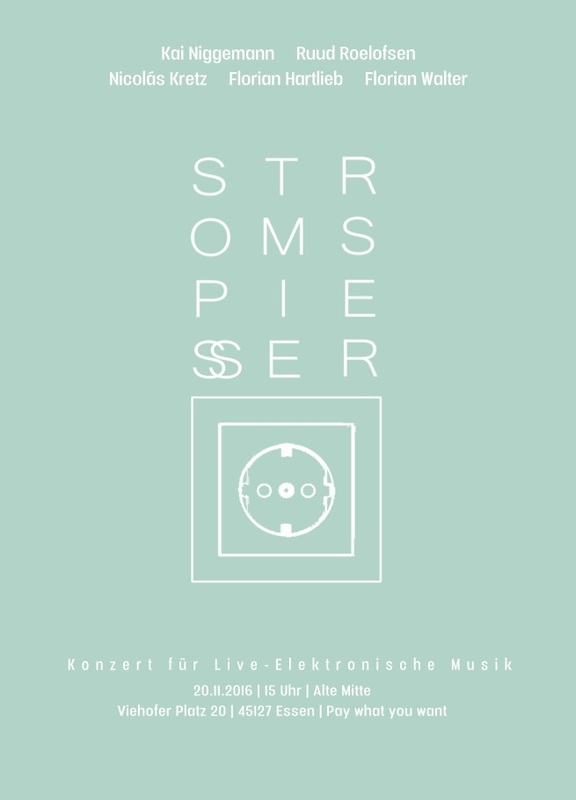 The DEGEM – (Deutsche Gesellschaft für Elektroakustische Musik e.V. 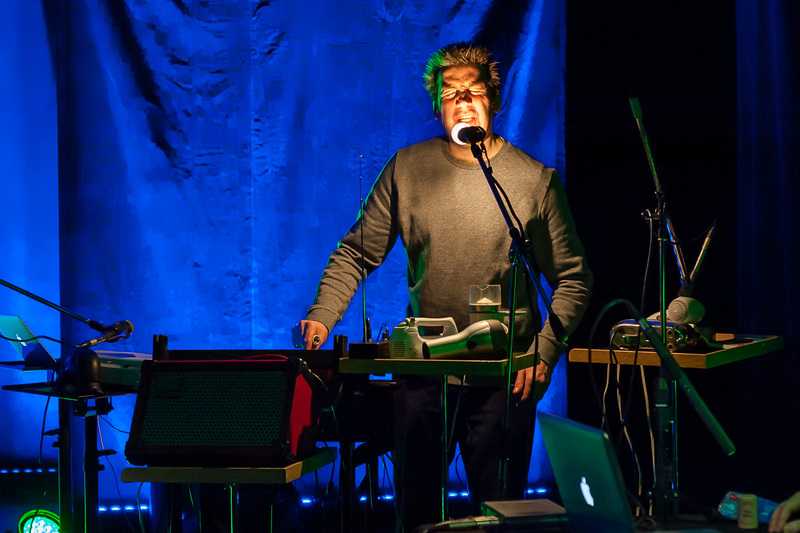 — German Society for Electroacoustic Music) supports electroacoustic music and sound art within Germany as well as internationally. To achieve this, the Society organizes conferences, courses, concerts, as well as sharing information internationally and publishing and releasing publications and audio media. 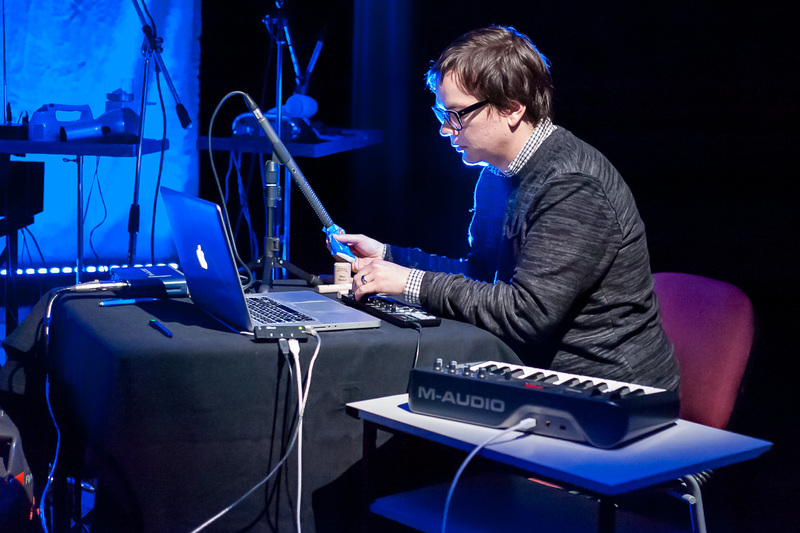 Pictures from “Audio im Umschlag”, an evening of improvised Sound Performances at the Volxbühne in Mülheim. With Peter Eisold, Florian Walter, Rochus Aust and Florian Hartlieb. Last friday I was invited as the speaker for the Creative Mornings series in Düsseldorf, where I gave a talk about the relation of my compositional practice to the topic of work. On November, 4th will be the premiere of Hiatus, a dance-theatre production by Satellit Produktion. The piece is part of the Spielart Festival in Munich. The premiere will take place at the Schwere Reiter. 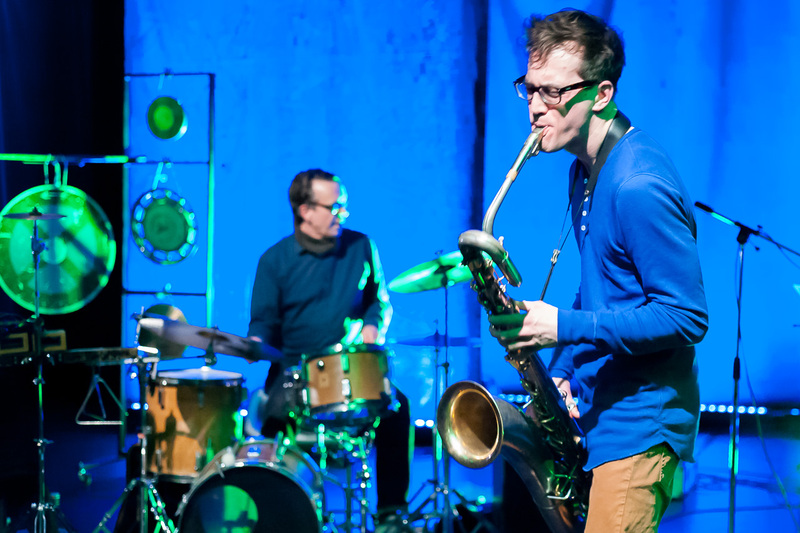 The music is composed by Florian Hartlieb and Amir Nasr. 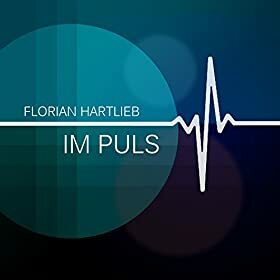 My piece Im Puls, that was originally written for a multimedia dance-performance, has been released by TFM Records. It is available now for download on Amazon, iTunes, etc. The DEGEM CD “Grenzen” (“Borders”) is out now! It is published by the Edition DEGEM and can be ordered here. The CD is curated by my person and consists of ten new written pieces, all to the topic “borders”. The DEGEM CD 13 “Borders”, which I curated, will be presented to the public by my person during the Kontakte Festival at the Academy of Arts in Berlin! Border — it can define the edge of a room, it can be a dividing line or a delimited area. Borders can occur between people, nations, states, thoughts, traditions, lands, and cultures. A border can be a demarcation or exclusion between outside and inside. It can define one’s own limits or the limits to another. Borders can be cut, crossed, opened, overcome, ignored, or moved. A border can also be completely insurmountable. Borders — this is a central theme of our time. While borders in many parts of Europe were taken down some time ago, on the edges of the continent there is a border that has become deadly for many people in the past few months. Religions and cultures are perceived as borders. Being involved with the current political situation has motivated me to create the DEGEM CD 13 with Borders as the overreaching theme. Borders — The composers whose work appears on this CD have been completely free to interpret the theme. Ten new and high-quality pieces of music have thus been written which all address the theme in a wide-ranging, experimental, and highly differentiated manner.